Home » General Health » Bladder » Anuria: What are its causes and how do you treat it? Anuria: What are its causes and how do you treat it? Anuria is the inability to urinate or discharge urine. The word itself literally translates to “no urine.” It can be a symptom of various metabolic and volume status disorders, or it can be a problem stemming from an abnormality of the kidney’s themselves, or even of the heart in certain circumstances. 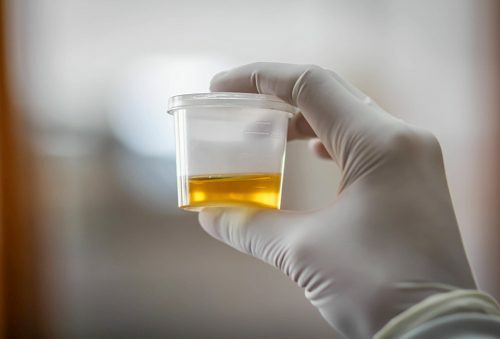 A related medical condition is called oliguria, which means that urine production is less than 500ml per day. Hypovolemia: Occurs due to fluid loss that can be a result of excessive blood loss, diarrhea, vomiting, burns, diuretic medication, pulmonary edema, and fluid loss due to operations procedures. Low systemic vascular resistance: Can occur in severe infectious states such as sepsis or shock. Severe allergic reactions to certain drugs and intake of antihypertensive drugs may also be a cause. Heart failure: Conditions such as myocardial infarction, decreased blood supply to the heart, cardiomyopathy, and arrhythmias may be a cause. Other: Sudden compression of the renal vein or inferior vena cava, pancreatitis, or sudden increase in abdominal pressure could be the culprit. Renal causes: Issues in the kidneys themselves that can be due to an abnormality in the structure of the glomerulus and renal tubules, drastically reducing urine output. This can be caused by autoimmune disorders, glomerulonephritis, nephrotoxic drugs, ACE inhibitor medication, and kidney diseases. Post-renal Causes: Due to problems that occur after the blood has left the kidney. Normal flow may be affected by urinary tract infections, prostatic hypertrophy, bilateral ureteral block, problems in the posterior urethral valves, and kinks in a catheter. Diabetes: Poorly controlled diabetes can lead to a life threatening condition called diabetic ketoacidosis which can lead to acute renal failure and anuria. Kidney stones: These occur due to excess levels of minerals from your urine. If they become large enough they can obstruct urine output, leading to pain and other complications. Tumors in the kidney: Having a growing mass in the kidneys can interfere with their function obstructing urine output. As the name implies, the only symptom of anuria is decreased urine output. This may also translate to the quality of urine, with dribbling of urine seen in some cases. Excess fluid loss, diarrhea, or vomiting may also accompany anuria. Changes in voiding behavior may be observed by documenting the amount of urine excreted in a 24-hour period. Anuria often presents with additional complications, as it is can be the result of an underlying condition. Cardiovascular abnormalities can affect the fluid and sodium retention processes of the body, presenting as anuria. Gastrointestinal problems leading to severe vomiting or diarrhea can lead to extreme dehydration and imbalances in volume status. Hematological issues such as anemia or platelet dysfunction are also potential complications. Electrolytes of the body that normally get excreted by the kidneys may also cause complications, as substances such as potassium can start to build up, leading to an overabundance. Hyperkalemia—an increased amount of potassium in the system—can lead to kidney damage, cardiac arrhythmias, and other ECG abnormalities. When diagnosing anuria, your doctor will first ask you questions about the symptoms you may be having. These include questions about urine retention, recent trouble urinating, fatigue, or having blood in your urine. A CT scan of the abdomen looking at the kidneys. A MRI scan, to get a more detailed image of the kidneys. A renal scintigraphy, which is a test using nuclear medicine. A biopsy to obtain a small tissue sample to look under a microscope. Anuria is considered a medical emergency requiring medical intervention right away. But in a hospital setting, the most common cause is not something serious, but in fact, it’s usually just a fold or kink in the catheter line, so it is always important to make sure this is not the case before proceeding to more invasive intervention. It is best to avoid self-diagnosis of anuria and to allow a doctor to make their final assessment, as they can provide suitable and effective treatment. Some cases may require surgical intervention, while less severe cases only require the use of antibiotic medication. Stopping any medication that is known to damage the kidneys is also recommended. The cause of anuria—prerenal, renal, or postrenal—will often dictate what is needed to be done to resolve it. Supportive treatment is often done in conjunction with medical intervention and may involve the use of fluids, diuretic medication, and close monitoring of blood metabolites.